Netflix is picking up shows left and right, but Justin Simien's exquisite original series is still waiting — why? Very Good TV Podcast digs in. In the last two weeks, Netflix has renewed four original series: “Busted!,” the Korean detective series, earned a Season 2 pickup; “The Rain,” a Danish drama, also snagged a second season; “3%,” the hit Brazilian dystopian series, landed a Season 3 renewal; and even “13 Reasons Why” got another controversial extension for a third season. So where’s the order for “Dear White People” Season 3? It took just over a month (33 days) for “3%” to get renewed, while “13 Reasons Why” got scooped up after only 19 days. “The Rain” and “Busted!” premiered the same day as “Dear White People” Season 2, and both got the call for additional episodes before May came to a close. Now, not all television is created equally. Each of these series is very different from the others, and it goes without saying that not every deserving TV show gets renewed. But with Netflix, there’s no telling what’s a hit and what’s a dud; without ratings, one can only speculate about the viewership and then weigh other factors that could decide a series’ fate. So with that in mind, there’s reason to believe the Season 3 pickup for Justin Simien’s super-smart comedy is beneficial for everyone. The series attracts big-name talent behind the scenes and on-screen like Barry Jenkins, Lena Waithe, and Tessa Thompson — people audiences love to watch and Netflix wants to keep happy. “Dear White People” is one of two Netflix original series with a predominantly black cast. “She’s Gotta Have It” is the other, and while “Orange is the New Black” offers a diverse lineup, its two leads are white. Netflix has canceled two high-profile original series with black leads: “Seven Seconds” and “The Get Down,” within the last year. The latter points speak to the company’s plan for widespread appeal; it wants to have multiple series for every audience, so even if the overall ratings for “Dear White People” are low, it’s still an important show for Netflix. For the first time, the series’ narrator (Giancarlo Esposito) steps out from behind the camera and into frame. He’s the leader of Winchester’s black secret society known as The Order, and he’s been secretly recruiting Sam (Logan Browning) and Lionel (DeRon Horton) all season. While, even though not much else is known about the narrator (including his name), the trio is poised to tackle the growing unrest on campus — and beyond. It’s not only a cliffhanger, but a game-changing cliffhanger. The narrator has been brought onscreen, and the world of Winchester is set to expand beyond what many imagined. The potential is clearly there. With “Sense8” getting an expensive series finale (/movie), there’s precedent for fans worrying about being left in the lurch. Odds are low that Netflix would leave such a massive cliffhanger unanswered, but one more factor needs to be addressed: Emmys. “Dear White People” has the critical backing it needs to be taken seriously by the TV Academy, and the show has been on the campaign trail, including multiple FYC events, advertisements, and a recent Paley Center panel in Los Angeles. Some might speculate that Netflix is waiting to see how the series plays in awards season before reinvesting, but the savvy business also knows any additional buzz in the next two weeks could result in a few extra votes being cast for the series. (Emmy voting runs from June 11-25.) That’s critical to the show’s lifespan, given its weighty subject matter. If the streaming giant picks up Season 3 now, it could be a win-win for everyone — buzz for the show, awards for the network, and more episodes for the fans. OK, so a win-win-win. That’s even better. 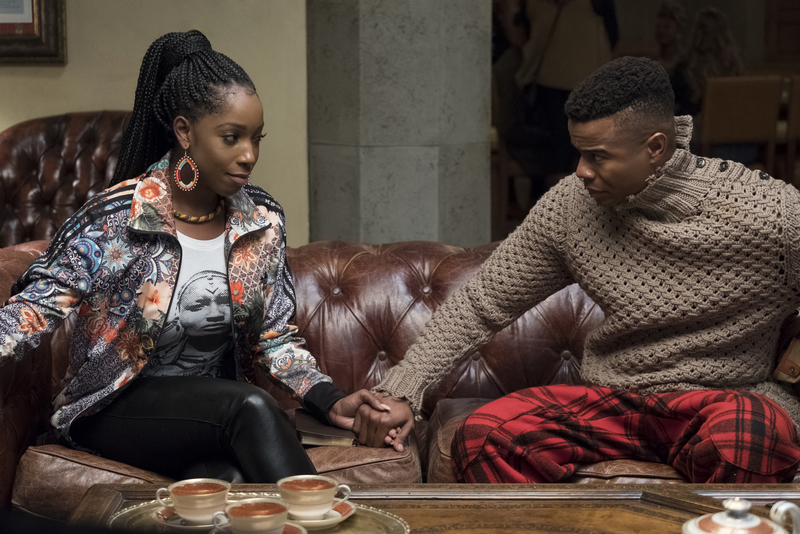 Below, IndieWire TV Editor Liz Shannon Miller and TV Critic Ben Travers discuss “Dear White People’s” odds for renewal, what exactly necessitates a series finale for a show on the brink of cancellation, and more.